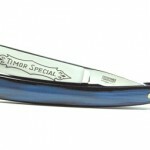 The Dubl Duck straight razor is one of the most highly regarded out there, rivaling Dovo for quality and reputation. They are sadly no longer made, which has heightened their value and made them very much sought after. You might happen to come across one at an antiques fair, yard sale, or even manage to find one of the rare instances where they are available “new”. In such a situation you’d do well to snap it up immediately, pending time to pass an inspection. 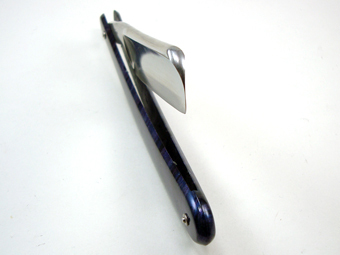 Like most blades from the classic era, the Dubl Duck straight razor is made from steel forged in Sollingen, Germany. Apart from perhaps Sheffield steel, Sollingen has the reputation of producing the best steel worldwide, and the Dovo factory still churns out a large number of newly manufactured blades. 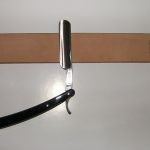 Quality of steel is the most important part of a straight razor. If the steel isn’t good, it will be difficult to “hold an edge” (stay sharp), assuming that you’ve been able to get that edge in the first place. Inferior steel will become wiry when honed, and will develop nicks and dents easily through every day use. Dubl Ducks have never been known to have any of these problems with their blades, which instantly sets up above a lot of other brands. 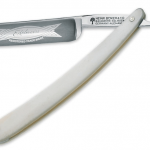 The second most important aspect of a straight razor is the handle (scales) and hinges. If the handle is flimsy, or easily comes loose, it could be disastrous. The last thing you want to worry about when putting a blade to your throat is whether or not the thing is going to slip open and slice your throat. 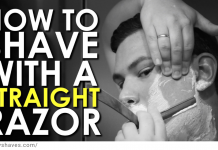 Poorly constructed handles add substance to the nickname “cut-throat razor“. There is also the design and artwork of the handle to consider. 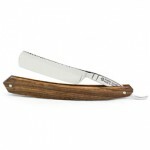 Some blades are truly beautiful to look at and add another dimension to the shaving experience. 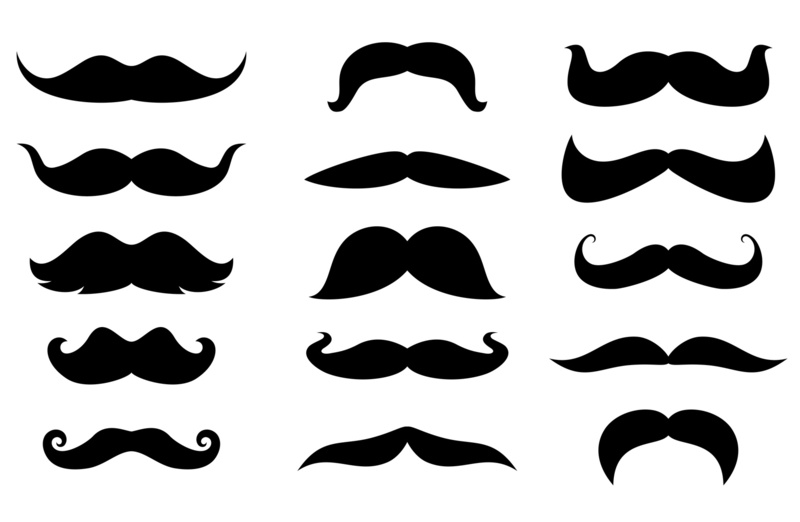 At Luxuryshaves, we are true believers in the luxury, which is why we love Dubl Duck. Everything about their design and craftsmanship inspires beauty and luxury. Just like the curves of an Aston Martin. DDs are not cheap, their rareness guarantees that. You can still find reasonably prices blades second-hand on eBay though. However, regardless of the price a Dubl duck is always going to be of great value. 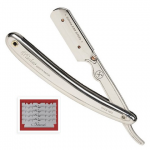 The money invested in one of these blades will earn it,f back over and over again in the shaving experience that it provides and the very small likelihood of ever having to replace it. For a second-hand blade, eBay is the buyers market. Many people undervalue their Dubl Ducks over there and bargains can be had. Even if you need to pay a professional to have it restored, the price would be more than worth it. There is also the occasional new blade available at Amazon.com. You can check here now to see if there’s one up for grabs. Finally,a search at your local pawn shop, antiques fair, or random yard sale may be able to turn up a rare find. I would advise you to check the condition before buying anything though. Most blades can be restored to almost “new” quality, but if a blade is junk there’s only so much an expert can do. 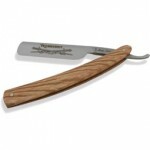 Previous articleIs A Kriegar Straight Razor Worth Buying?